Oxehealth, the camera-based health monitoring company, has been awarded funding from Innovate UK, the UK’s innovation agency, under the Digital Health in the Connected Hospital theme to extend its vital sign monitoring technology, in collaboration with Oxford University Institute of Biomedical Engineering and Oxford University Hospitals NHS Trust. With a project value of £606,000, Oxehealth will develop and test its Oxecam technology in the extremely demanding environment of an upper gastro-intestinal ward of patients who have undergone cancer surgery. Oxehealth has carried out a number of trials of the technology, including studies at the Oxford Kidney Unit, Churchill Hospital and at the Neonatal Intensive Care Unit, John Radcliffe Hospital, focusing on testing Heart Rate, Breathing Rate and Blood Oxygenation of patients. During this project, Oxehealth will for the first time extend the capabilities of the technology, testing all five essential patient monitoring vital signs at the same time, including blood pressure and temperature. The project will test in a real-life setting how the Oxecam can improve upon the current approach of periodic observations by staff, which can be subject to inconsistencies, disturb the patients (especially at night), has potential for cross-contamination, and is costly in nurse hours. It will do this by using sophisticated algorithms to process video images and provide estimates of vital signs on a continuous basis. It is predicted that the NHS will have a deficit of 47,500 nurses by 2016, shortages that are mirrored internationally, and Oxehealth’s application seeks to help support nurses by freeing up time for other important tasks. Research currently shows that it takes a median of 7 minutes to spot check a patient’s vital signs, and this can add up to over an hour of each nurse’s shift. The issue is that current methods are dated and restrictive, with too many opportunities for inaccurate record taking and cross-contamination. Oxehealth’s intention is to offer a low cost, non-contact video camera based system which will provide extended tracking of a patient’s vital signs. This will reduce the time that nurses spend on this arduous task whilst simultaneously reducing opportunities for cross-infection. 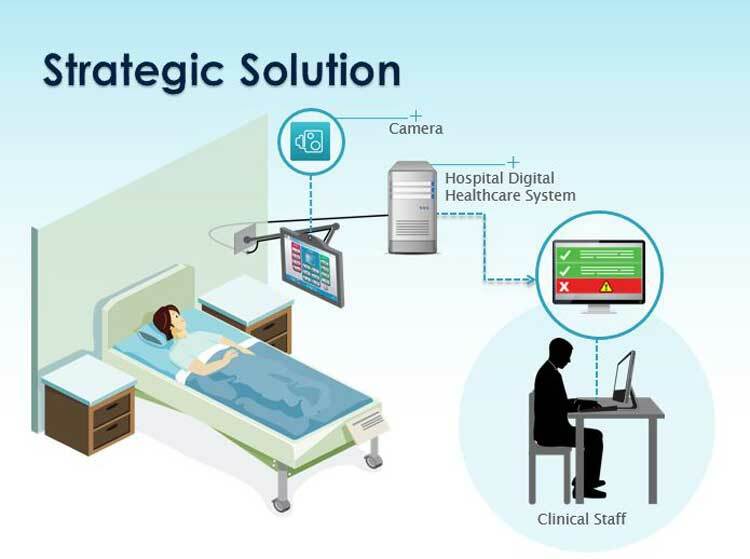 If successful, the project will be followed by steps to develop a finished version of the ‘five vital sign” Oxecam that will improve the care, safety and well-being of patients whilst saving money by simplifying patient safety checks. Oxecam is a set of algorithms which analyse data from video cameras to produce estimates of vital signs and other parameters. In this new application, the algorithms will monitor five vital signs: the patient’s breathing and heart rate will be tracked to detect any significant variations; temperature will be monitored, particularly to help identify signs of sepsis; blood oxygenation will be tracked to identify any major de-saturations; and blood pressure to identify any hypotensive episodes. The technology also works in the dark, using invisible infra-red illumination, so patients can sleep undisturbed. Video data is processed inside the camera unit, with the vital signs then transmitted to electronic patient record systems. If there is an issue, an alarm is generated to staff as appropriate.